So as I hurriedly left Chengdu Taste after the numbingly spicy lunch, I was on a quest to quickly find myself a cup of icy cold milk tea. I arrived at the San Gabriel Square on Valley Blvd since I know there must be some Boba Milk Tea shop inside the plaza. 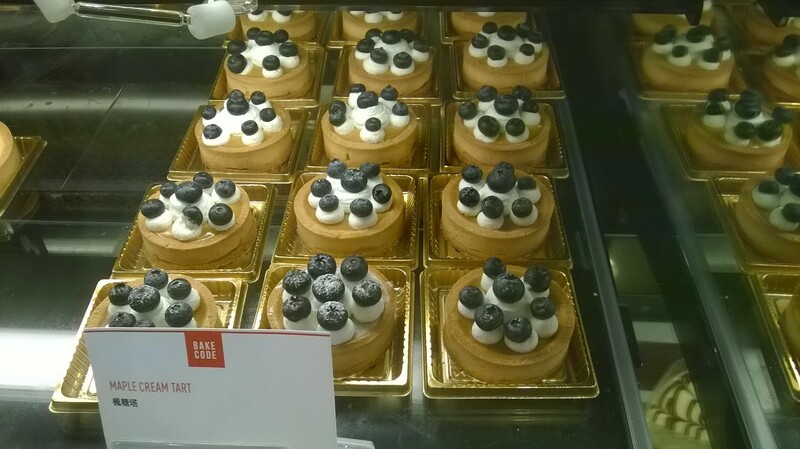 As I got out of my car and started walking toward one, I noticed that there was a brand new bakery shop at the corner. The name says Bake Code. 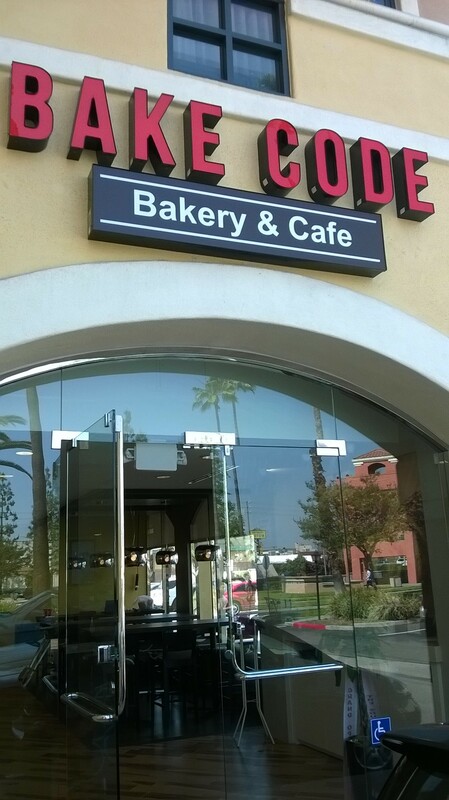 The place looked modern and inviting, and since I love trying new breads and pastries, I ventured inside. I was told that they had just opened a week ago. The interior is spacious, clean, with very comfortable warm lighting. 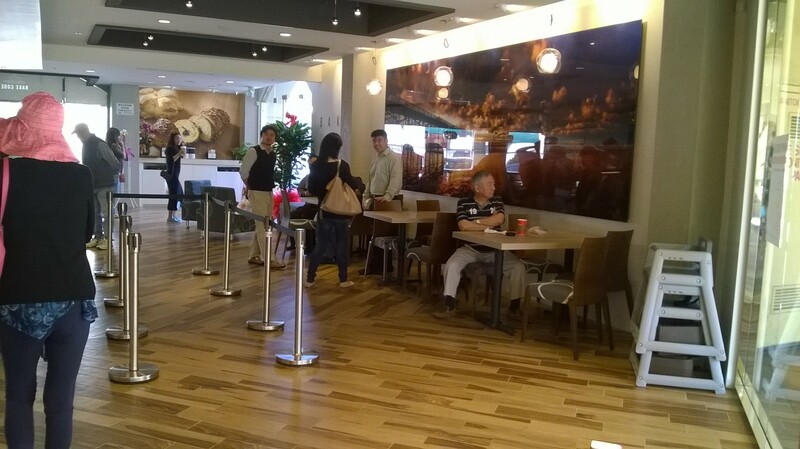 I was elated that they offer drinks as well, especially that of milk tea. I definitely needed something to cool me down from the spicy food, so I opted for the Cold Milk Tea with Glass Jelly (no sugar). They made a mistake and made me one with sugar, and it tasted fantastic! But I know that I should not be drinking all that much sugar, so I told them about the error, and I was promptly given another one without sugar. I must say that the milk tea was one of the best that I have tried in a long time. 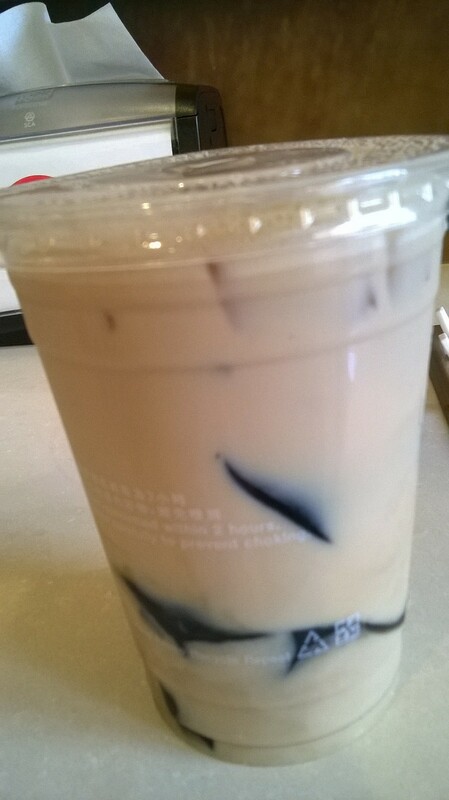 The milk tea was extremely smooth with ample tea flavor, and there was a good amount of glass jelly inside to slightly sweetened up the tea. 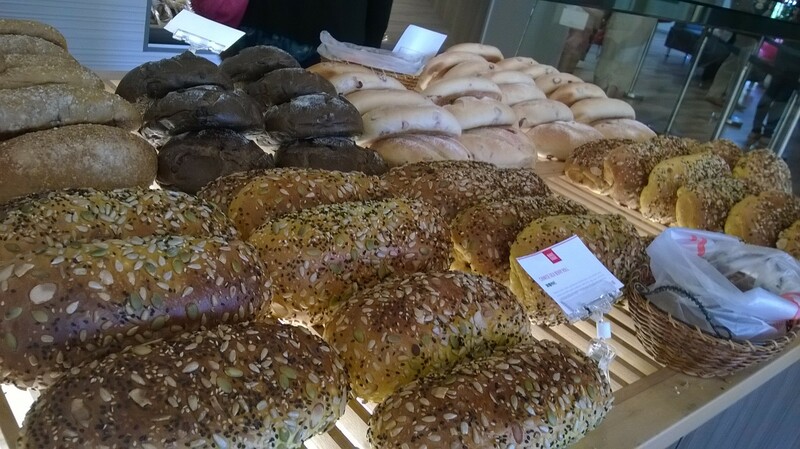 There were small samples next to the breads that one could try, which was a good idea. All the ones I did try were really tasty without being too sweet or too salty. The texture of the bread was soft, yet slightly chewy, and most importantly to me, the crust was not hard – nearly perfection for me. 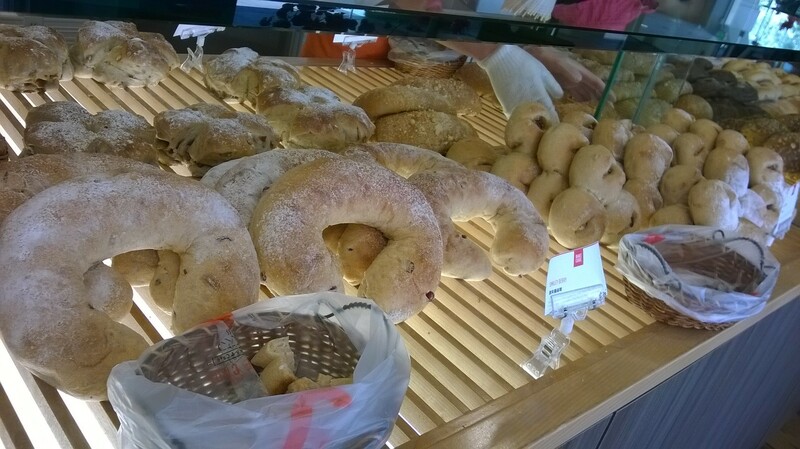 The one bread that I did buy had orange rind and walnuts inside. The flavor was exceptional and the bread was still soft and chewy after a day in my refrigerator. 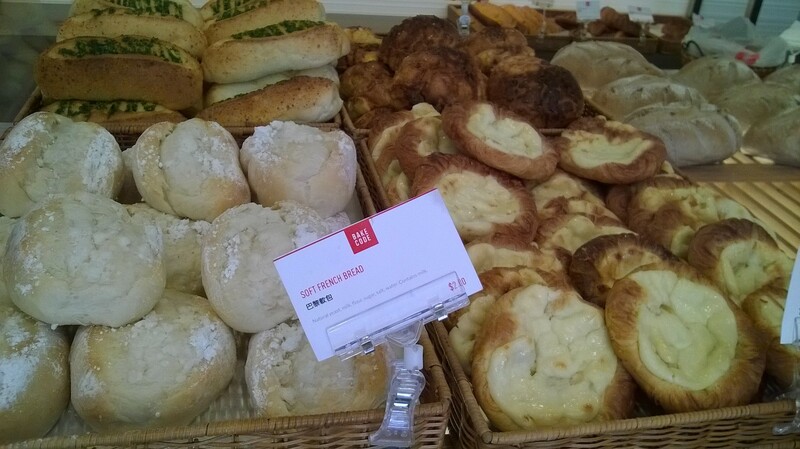 I will definitely be going there to get more bread and perhaps try their sweet pastries next time I am in that area of town. I must also add that the prices were quite reasonable ranging from $2 to under $4 for the breads, and my drink was around $3.5.